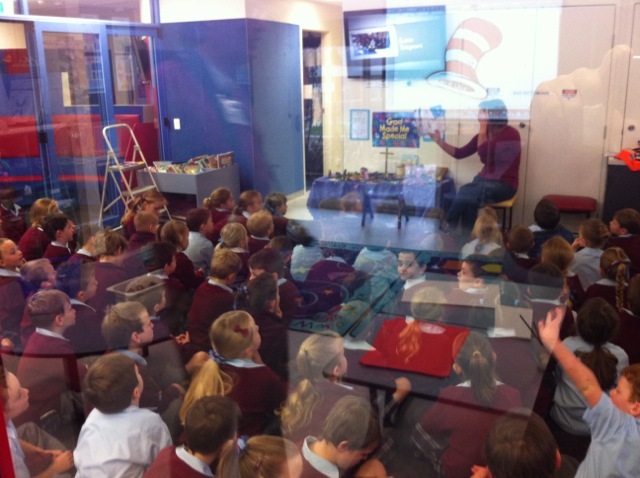 ...but, from Kent to Sydney, from the Mersey to the Yangtze, SUPERCLASSES, as they have become known, are spreading with a viral enthusiasm - teachers love them, children enjoy them and their learning within them is significantly better too. This is not the 60s, this is something different. Superclasses support NQTs well, but all teachers report the sheer pleasure of working with other colleagues and seeing their fresh effective approaches in action. Perhaps a less well documented gain is that teachers who have become a little stale - bored and formulaic - are often reborn, to their own delight, by the freshness of a new approach and by discovering new fresh ideas from other teachers to place alongside their own well honed craft skills. One unspoken gain from Superclasses: it is far easier for a colleague to use the toilet during the school day when there are multiple teachers in the room. The reduction in bladder infection, cystitis and other consequences of delayed toilet use equate to lower rates of staff absence and better rates of well-being. Superclasses typically need longer blocks of time. Once the students get started, they are, in their words, "on a roll" and don't want to keep stopping and starting. As has been observed elsewhere on this heppell.net server mixing it up in timetable terms, in secondary schools, pays dividends. Primary schools often already have this mix from immersive to rapid action events. Superclasses don't work at their best if you only have short intensive lessons, but then the students don't work very well if that is all you have either. To trial longer blocks of time, it is relatively straightforward to multiply timetable weeks by two or four so that a week's timetable is completed across a fortnight or a full month - with all lessons twice, or four times, as long as the timetable specifies. This can inject periods of intensive immersion into a term - to great effect. Superclasses don't need a new building, but bigger spaces help. Some schools have discovered SUPERCLASSES because they had a new build - in the UK the Building School for the Future initiative produced many - with some remarkably good results. In Australia the BER buildings have been an excellent catalyst for change too. 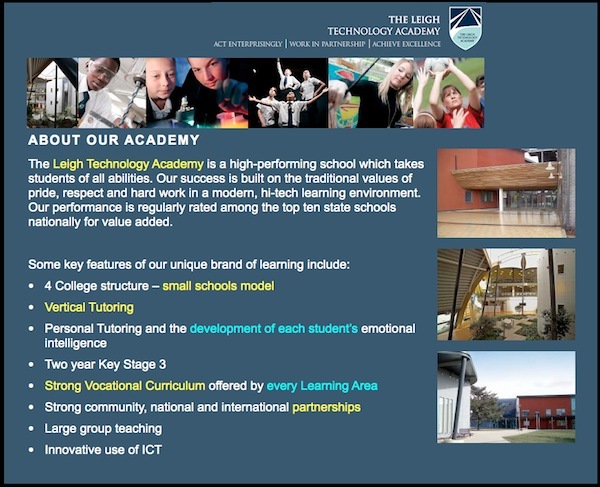 Others have used the opportunity of a refurbishment to remove walls, to open up at least one aspect of the learning spaces, and to produce rooms that match the learn3k.net Rule of Three for 3rd Millennium learning spaces. one teacher leads the session - being clear about tasks, expectations, finish times, resources available and so on. Often, and perhaps counter intuitively, this does not always need to be the most experienced teacher in the group (and remember with these large groups the dominant behaviour norms are set by the expectations of the "sternest" teacher). The second teacher might be best thought of as a "breakdown van" moving in to help whenever a student seems to falter and need help (although often in Superclasses an "ask 3 then me" type rule helps children to seek help from up to 3 peers first). This needs an experienced teacher - rapidly unpacking student misunderstandings, or finding a fresh way to explain something, requires experience. The point though is that noone is left stuck with their time wasted and their esteem crumbling. Students in particular report the importance of this dimension. The third teacher is focussed on differentiation - stretching those who are only justcoasting along, broadening for those who seem bored or distracted. Of course, most teachers do all these things, but the point here is that three teachers in parallel do them at a much better pace than one teacher doing them in series, so to speak ("Miss, i'm stuck! ", "OK. 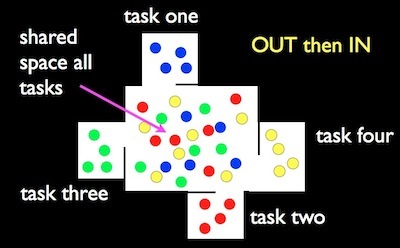 I hear you, I'll just get this lot started on the task and then i'll be over" - gives way to a teacher coming over before you even realise you need to ask for help!). 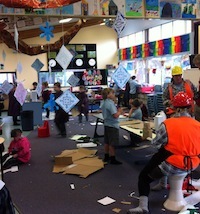 A superclass can be also formed from a group of children coming together in a "commons" area to work autonomously on tasks given to them by different teachers in break-out spaces - in this OUT then IN version the tasks may be linked in some way and the teachers' specialisms are the badges they wear: if you need help with the different components you seek the help of different teachers - again the parallel not serial principle applies. You might view this video from Mark Oliphant College in South Australia to see a variety of learge groups working in those commons OUT then IN break out spaces. A superclass can also be formed with a large all-together starting point in a commons area, with then students "breaking out" into surrounding spaces for different activities. 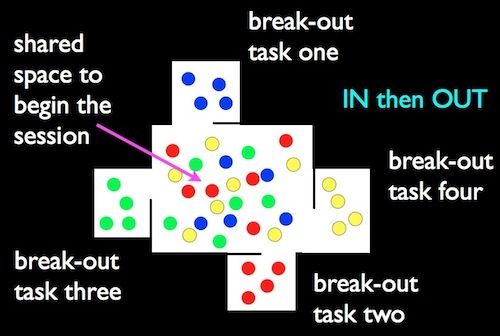 If you go to PD conferences you will be familiar with this "plenary then breakout workshops" model - IN then OUT works in school too. 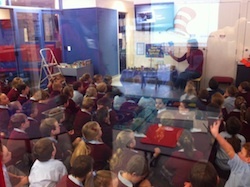 In the final photo example below, also from Tasmania, of an IN then OUT superclass - several classes are together enjoying a shared story telling - as the story is being read the other teachers are busy preparing break-out activities in rooms around the Commons space - in the window reflected you can see a room readied for a "cat in the hat" hat making activity - coincidentally also a grounded maths task, but in this case with an art dimension too. After the story the children will break into the adjacent spaces around their "commons" space. Finally, furniture matters. A large group of children will have a range of sitting and studying needs. There is no one size fits all - personalisation is for furniture too!. Again reviewing the Mark Oliphant video will show you a range of collaborative activity - and seating options. But also, with a big group it is sometimes tough to say to pals "I want to work on my own now" so it can help to colour code the chairs - a red chair can say tactfully "I want to work alone" for example. You might also want to review this page on tiered seating - a great way to talk directly and quite initmately to a large number of children in a large multi-class space. Superclasses are effective, fun to teach in and fun to learn in. The pace and progress are usually remarkable too. Superclasses are not hard to create, but they are complex and the details do matter. A huge bonus over and above the significant gains in student performance is the fact that, once you have learned to work well as a team - usually half a term's worth of effort - the workloads around preparation fall significantly compared to do-it-alone teaching. With so much else to do in education, that really does help.